Tim Clark Concrete Construction, Inc. Comment: Exterior sidewalk has sunk at a joint and needs to be lifted slightly. It poises a tripping hazard. The location is a church. Comment: We need concrete sealed and the expansion material replaced in some areas. Comment: driveway is rocked over for years. Now lots of weeds coming up. needs scraped out to lay new driveway. 2 1/2 lanes. which is cheapest asphalt or cement? Comment: Extend existing driveway with 6 X 20 foot slab for parking an additional car. Athens Concrete Contractors are rated 4.78 out of 5 based on 122 reviews of 12 pros. 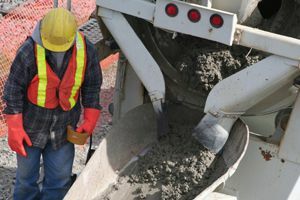 Not Looking for Concrete Contractors in Athens, IL?